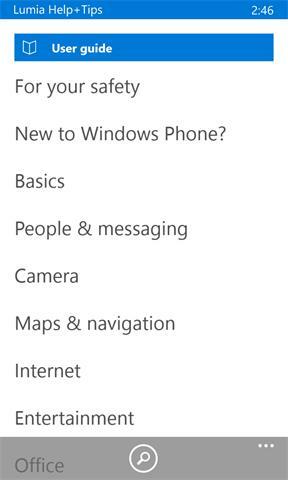 Lumia Help+Tips helps you make the most of your Lumia phone. 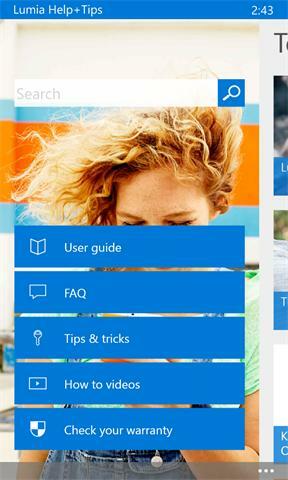 Discover how to use Lumia’s many exciting features, get inspired, find answers to frequently asked questions, and learn more about your Lumia from our support videos. The application includes a full offline user guide, and if you need further assistance you will find information on how to contact support directly.